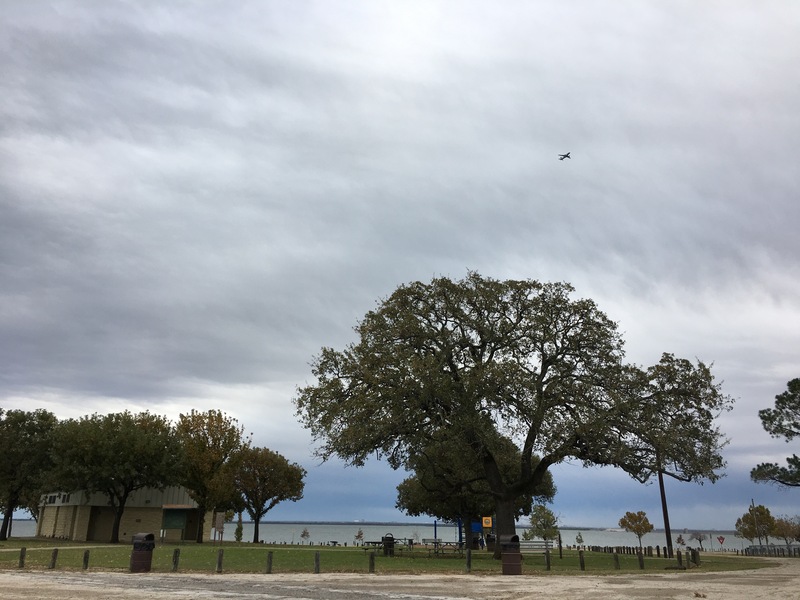 After our Forth Worth adventure, we returned to the City of Lewisville campground, which is absolutely gorgeous, affordable and worth a stay. The wifi was even usable in off hours. They also don’t take payment until you arrive! We had one more outing in mind. The traffic to and from Fort Worth through Dallas had really been brutal and turned us off, but we had heard good things about Denton, a college town north of Dallas. 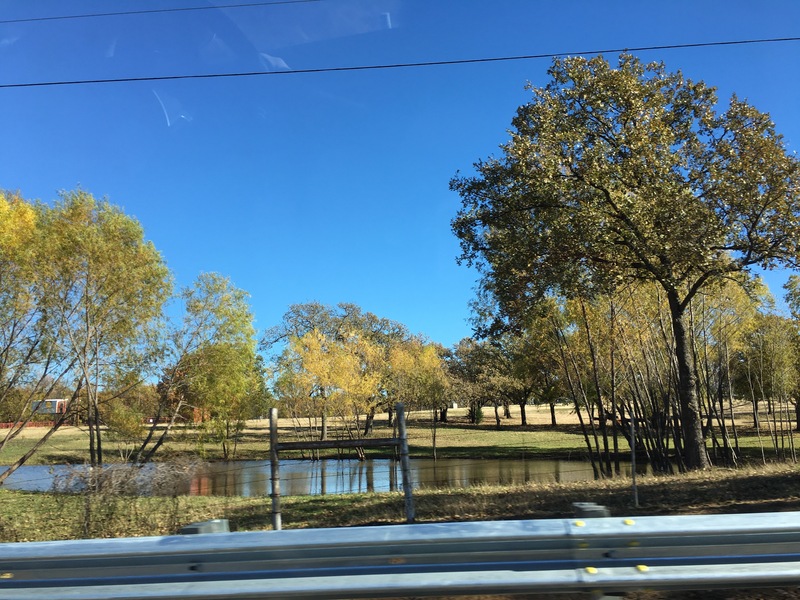 As we were staying in Lewisville and had a rental car, we decided to avoid highways as we drove, which took us on a lovely drive through fields, forests and lots of horse farms. Besides the campground, it was the prettiest place we had seen in Texas. If we hadn’t had a rental car, we would have had train and bus options to get us to Denton. Public transit also connects to Dallas, which would be helpful if you were flying and needed to connect to the airport. As we drove to Denton, we realized even the strip malls were much nicer and less crazy than we had seen closer to Dallas. It was pretty great! I even felt comfortable driving into Denton and I am the opposite of a city driver, so that impressed us. Ross described the city as “the right amount of dingy” and that seemed apt for the charming place. We had chosen three destinations for our trip – the post office (nothing exciting), the natural food store and a music store. The Cupboard is phenomenal. 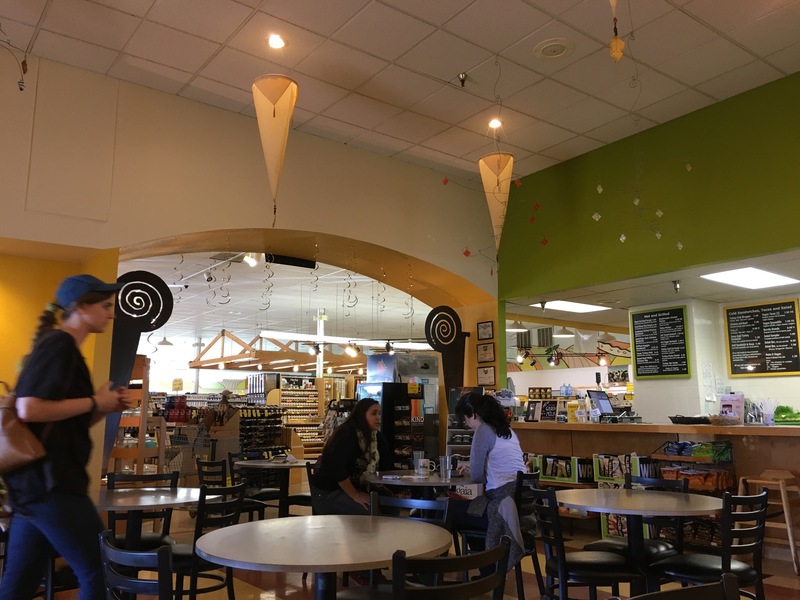 They have an awesome cafe with wifi and have sections for health, cosmetics, gifts, a salad bar and for gluten free baked goods. The music store next door also seemed very cool with honest folks – Ross was able to trade in a pedal for a pedal bag here. We were prepared to head back, but we were both charmed by the downtown and decided to stop and explore. We were so glad we did! The downtown has a beautiful historic courthouse at its center, and they lit it up for the holidays. Downtown is pretty big with tons of options for shopping and dining and it’s fun to walk and easy to navigate and park. There are also multiple theaters, presumably one for film and one for performing. We enjoyed the great record store with a used t-shirt section and loved seeing their visitor center with a radio station inside. Other businesses included a great comics and game store (they have another location too), a candy store, and Recycled, a fabulous store selling used books, CDs, records and more at affordable prices with an absolutely amazing selection. Sheet music? Plays? Scores! Theater history? Comics? All of the above and so much more. I haven’t seen a selection this good outside of New York! The local ice cream parlor is also a gem. We can definitely see ourselves in this college town, at least for a few years. 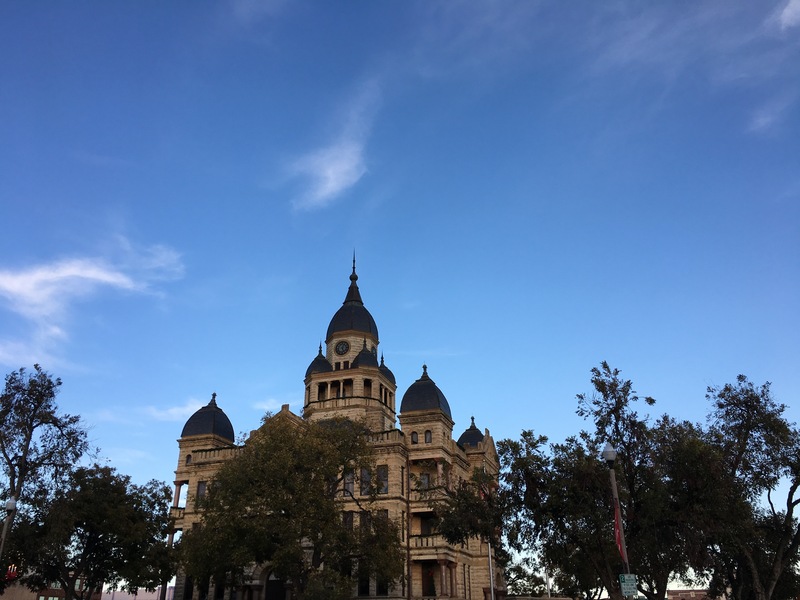 We’d want to research it more – I am ideally looking for a place with professional music, theater and dance and I think here it’s just community theater and the college – but nearby Lewisville is a pleasant drive and seems to offer these things. Also, the drive to Fort Worth is close enough that this might not be an issue, and at least one of the universities, Texas Woman’s University, offers graduate music and theater programs, which could be very appealing. We loved Denton. We even loved visiting Target on the way back – they had 15% off almost everything the day we were there so we saved big on groceries! Denton gets added to the list. Thanks for reading and have a great day!